Against Incredible Odds: Who Will Write The Next 'Hulk' Series? 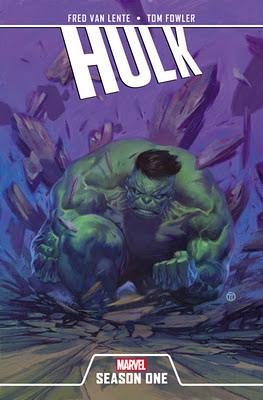 According to Marvel's October 2012 solicitations, made available today, The Incredible Hulk is being "canceled" with issue #15 of its current run by writer Jason Aaron. Putting aside the irony of the series being "doomed" with less-than-stellar reviews being wrapped up by a battle with Doctor Doom, we know in our bones that the company is just readying yet another relaunch of the series as part of their Marvel NOW! campaign that begins the same month. 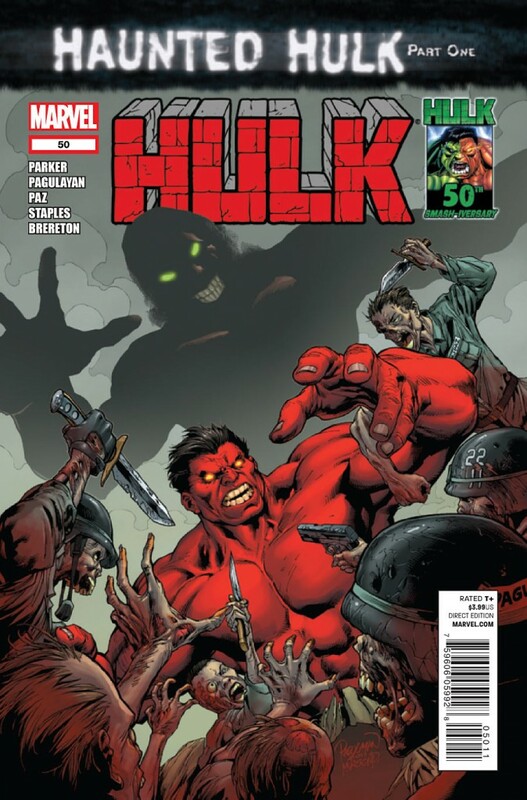 Coincidentally--or maybe not so much--Hulk, the book that's been starring Thad Ross, the Red Hulk, concludes in August. The book has been sliding down the sales charts lately despite solid stories and artwork. Rumors have it that the series is being relaunched to coincide with Marvel TV's new animated series, Hulk and the Agents of S.M.A.S.H. I have my doubts, not the least of which is the fact that in spite of some critical acclaim, Greg Pak's Incredible Hulks series that did pretty much the same thing tumbled down those same sales charts month after month. Below, I've assembled my own serious picks for the new Hulk series that's sure to debut sometime between November and February. I'm likely to be wrong, but I'm playing the odds here. Somebody could come out of left field (even moreso than some of my suggestions!) and steal the book away. 1. Fred Van Lente (2-1) - The odds-on favorite. Mr. Van Lente has closely flirted with Hulk super-stardom, having been buddy-buddy with Greg Pak since the days of Incredible Hercules. He created AIM's Scientist Supreme Monica Rappaccini and her daughter Thasanee, better known as the not-so-new-anymore Scorpion. Peter David one-upped him and established Bruce Banner and "Nicky" had a college fling which just might explain where her dear daughter got her green hair. Since then, those characters have only grown closer to the Hulk. Add in that we're a month away from Fred and Tom Fowler's revision of the Hulk's origin in Hulk: Season One and I think you can see where I'm going with this. 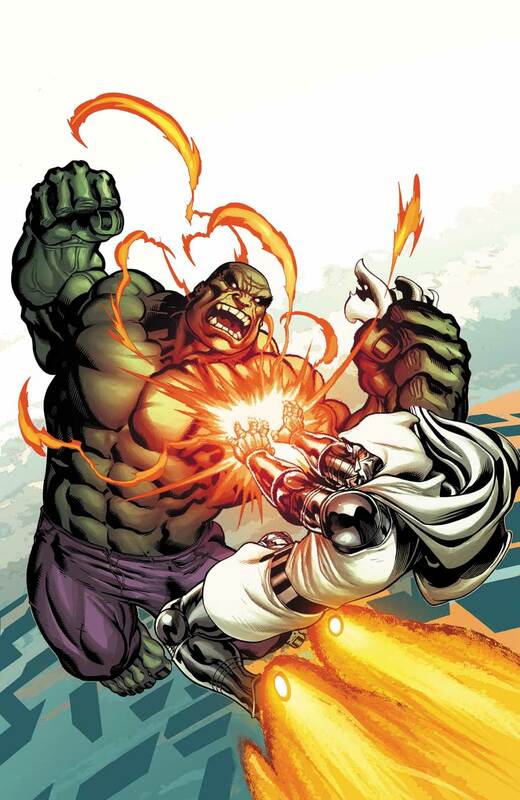 The book is poised to introduce a new villain into the Hulk's corner of the Marvel Universe, and it will also plant the Scientist Supreme smack dab into his origin. Why not capitalize on these aspects in the best way possible and bring Fred Van Lente into the fold as the regular series' new writer? 2. Matt Fraction (5-1) - The more radical, yet still safe bet. 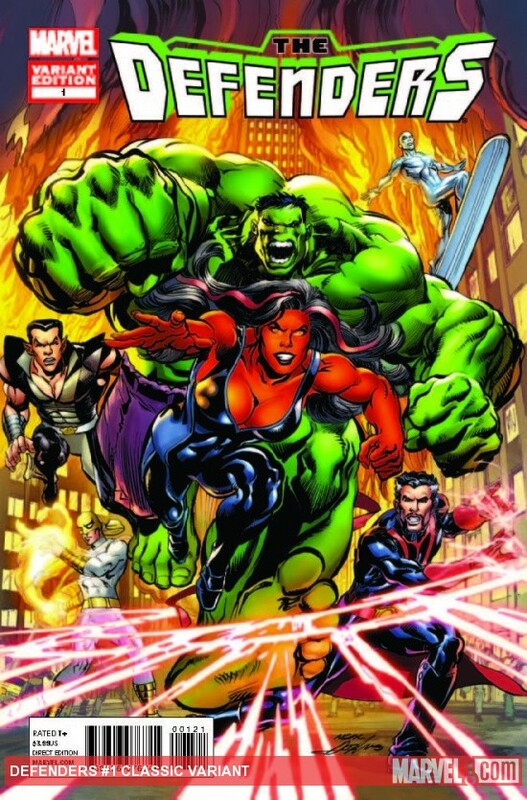 Matt Fraction has been on the periphery of the Hulk universe for some time, writing the 2011 Fear Itself event which turned the mighty monster into Nul, the Breaker of Worlds. Since then, he's been writing Defenders, showcasing the team of heroes the Hulk is most often associated with--that is, up to this summer's blockbuster film, what was it called...? Anyway, he has enough off-the-wall ideas in books like The Mighty Thor and The Invincible Iron Man that he could very well be right at home scripting the adventures of Earth's Mightiest Mortal. 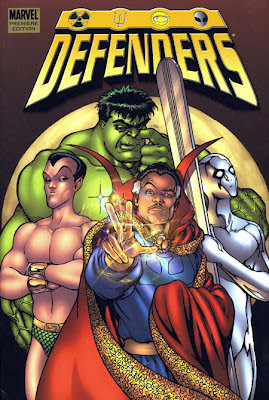 Certainly it would make crossovers between his book and Defenders far easier, which would be a major plus if for no other reason than Betty's over there as Red She-Hulk. I admit, I'd be very curious to see Fraction take over. 3. Jeff Parker (20-1) - The guaranteed hit among Hulk fans. 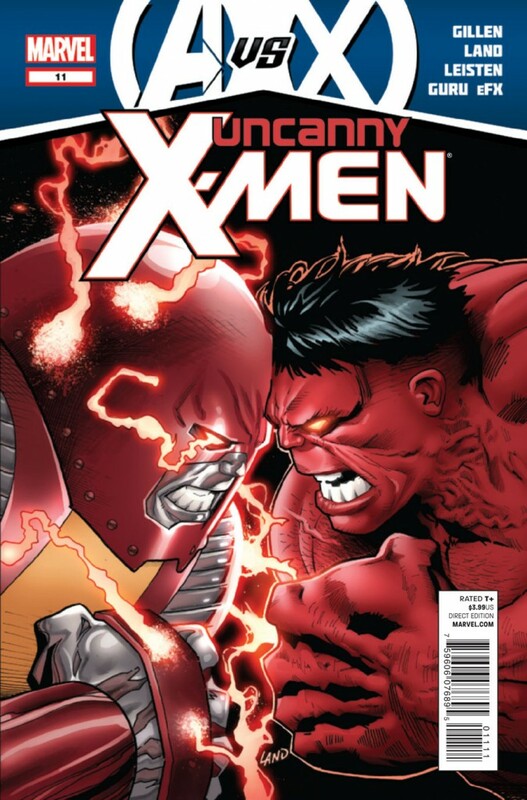 Jeff Parker has been writing the Red Hulk's adventures for about two years now. During that time, he's made the book--in this fan's opinion--a whole lot better than it has any right being, and ludicrously better than Jason Aaron's series about the "real," green-skinned Hulk. Hulk fans have longed to see him cut loose on Bruce Banner the way he has with Thad Ross. The only problem is whether Marvel will see the ever-declining sales figures of Hulk as a reason why he shouldn't be made the main series' writer. While his stories win critical acclaim and old-time fans' hearts, they don't seem to be catching on with the larger contingent of fandom essential to long-term success. Giving Incredible Hulk to Parker would be a gamble, but one I'm certain could pay off, especially if he's teamed with an artist capable of putting asses in seats. 4. Kieron Gillen (40-1) - The longshot with the inside track. Kieron Gillen has been making a name for himself in the Fear Itself spinoff series Journey Into Mystery which many have described as Marvel's very own Sandman (DC's dark fantasy series of the 80s by Neil Gaiman). He's also begun plugging away at the X-Men and, as seen in the above cover, he's written the Red Hulk in battle with Colossus-as-Juggernaut. He's not a big name, but this Brit's star is rising, and as a friend said on Twitter, he "can mix bombastic superhero battles with intricate, character-driven stories, a MUST for Hulk writers." That certainly sounds like a ringing endorsement. Again, pick a stellar artist, and this might be the team to beat. 5. J.M. DeMatteis (100-1) - The diamond in the rough. J.M. DeMatteis hasn't been doing much at Marvel these days, but what he has written has been as awe-inspiring as any of his older work. Like Gillen and Fraction, he really hasn't done anything substantial with the Hulk, his work relegated to a couple of stories in the black-and-white Hulk! magazine and some Defenders work here and there. However, when I recently interviewed him for my Hulk retrospective book, he told me that ol' Greenskin was right in his wheelhouse, as the character dealt with the themes of duality so prevalent in his best work. Anyone who enjoyed his stories in Spectacular Spider-Man, Silver Surfer, and Man-Thing would certainly see where he's coming from. Although he's known for deeper, psychological tales, he's also capable of light humor like in Justice League International and Defenders alongside longtime friend Keith Giffen. He's the best pick on my whole list, and I wish he'd get this gig. Never say never, but if the miracle came that we ever got him on Hulk, we'd never regret it.